Round Shape. Custom Floorplans. 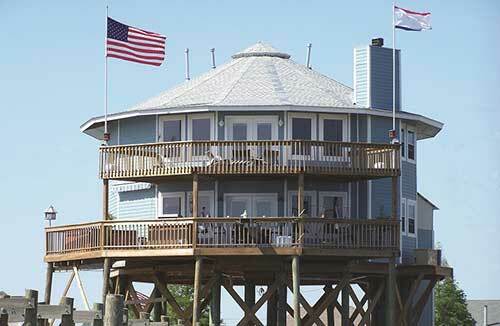 Hurricane Resistant. 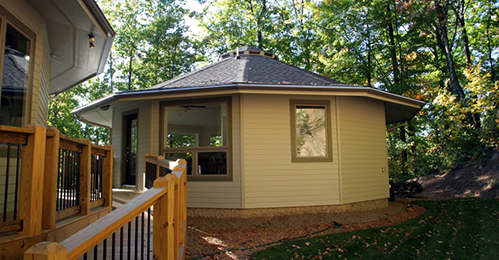 There are no load-bearing walls in our round homes, so you can completely customize your floorplan. With 10 sizes and several wing and connect options, you can mix and match our structures to create the size and floorplan that’s perfect for you. 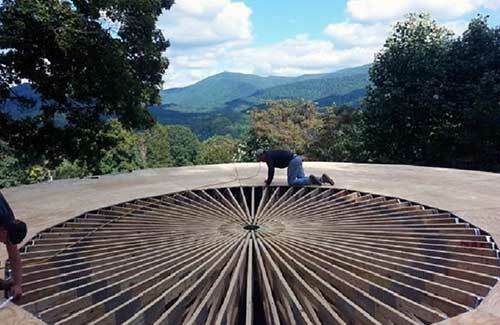 Using additional options, you can tailor your home to reach any level of energy efficiency—all the way to net-zero and beyond. Live large within a small footprint. Our smaller prefab homes are ideal for an office, guest house, in-law suite, small vacation house or tiny home. 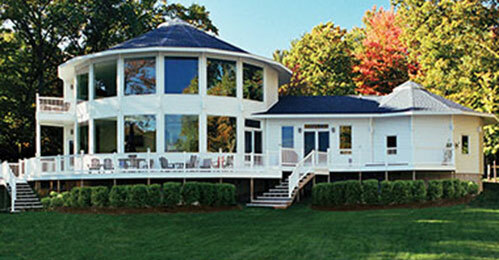 If you need more space the possibilities are endless with our custom prefabricated homes. There are enough wing and connect options to reach over 10,000 square feet. 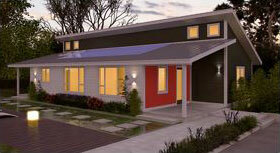 The Renew Collection is our line of high performance and net-zero homes. 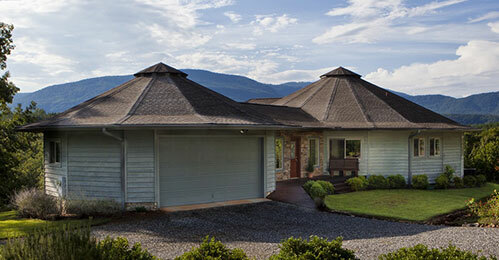 Most models have two floorplan options, all designed to maximize energy efficiency without compromising on livability. 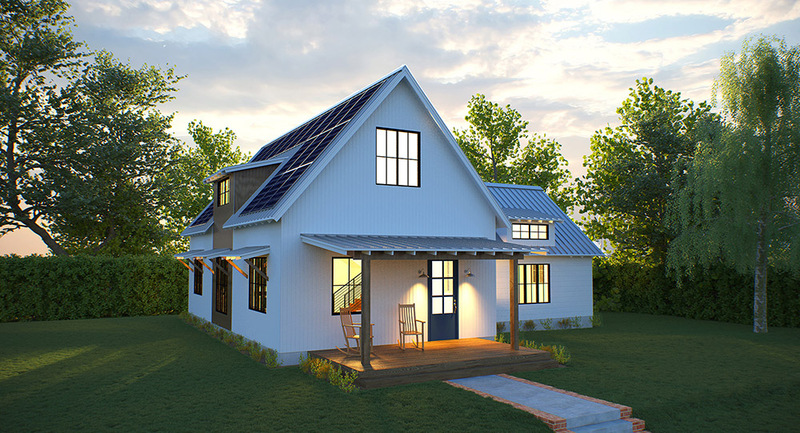 Pre-designed to use two-thirds less energy than a typical home, the remaining one-third can be powered with renewable energy. The perfect home for a mountain setting! 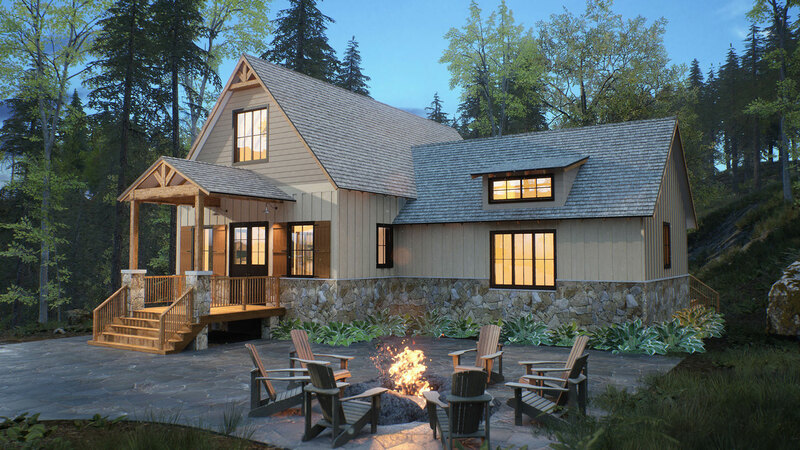 Our Balsam model puts a rustic, modern spin on a classic mountain cabin with an open floor plan, passive solar design and an air-tight structure to ensure energy efficiency. Passive solar layout with a modern flair. Designed for high performance and premium green living available in 6 designs for small or larger footprint options. 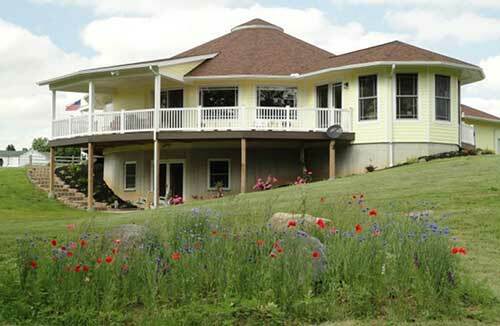 This passive solar farmhouse features the classic farmhouse look with modern functionality. 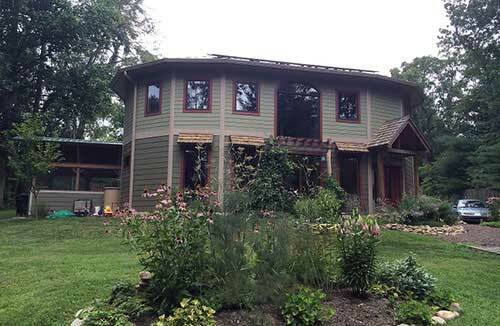 More energy efficient and functional than a traditional farmhouse with passive solar design and an air-tight building envelope.